Happy new year to all! Hope your holidays were enjoyable. It seems we boycotted the Santa Rally and went straight into the new year optimism rally I touched on a few weeks ago. We are now firmly in No Man’s Land wedged between the 60 day and 200 day moving average. 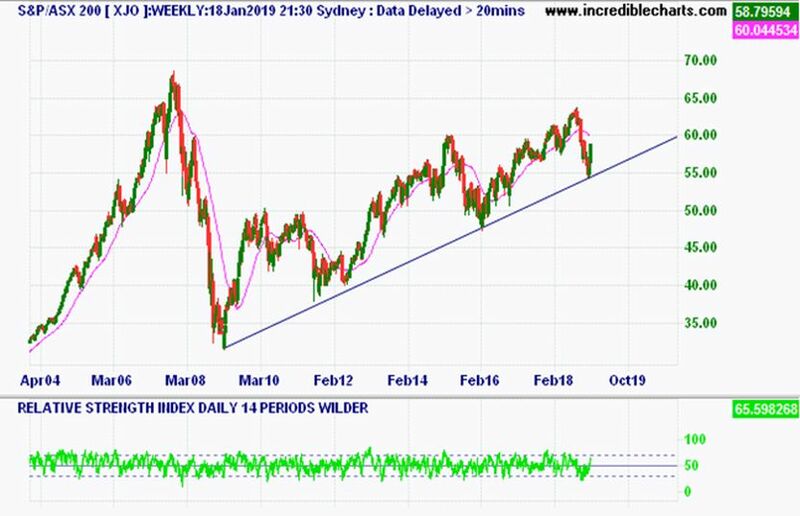 It was very promising that the ASX 200 jumped off the long term up trend line as can be seen on the weekly chart and the monthly chart and the monthly up-trending channel remains intact. For now. 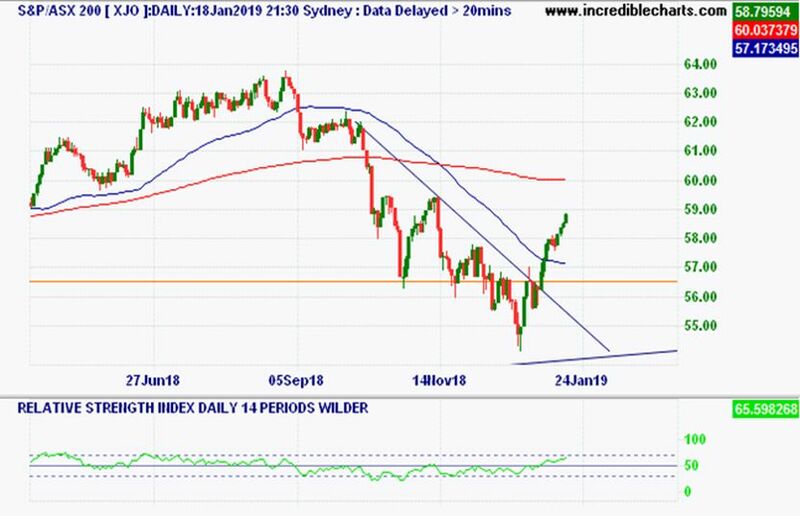 I say for now because we have the weekly Financials chart below which still looks very weak and who knows what’s going to come out of the February royal commission report with both sides of politics promising to implement everything in the report. Could be tumultuous for the Financial sector. 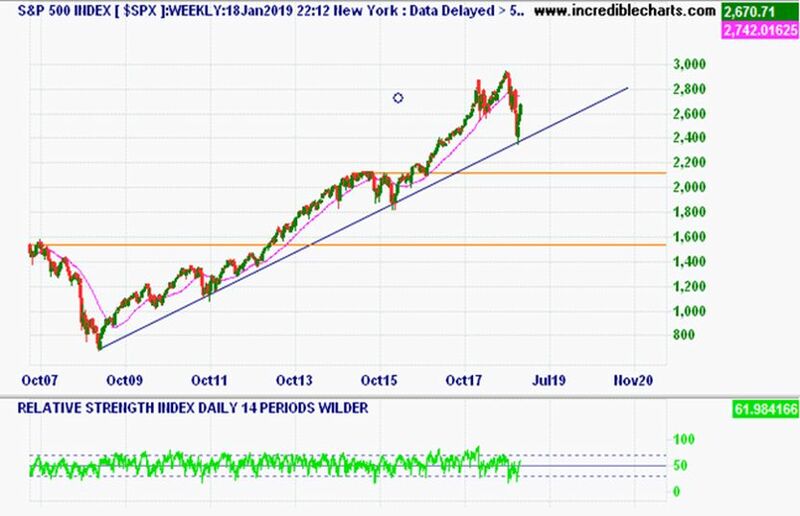 On the positive side of the equation the S&P 500 has rallied hard and jumped off its long term up trend line. 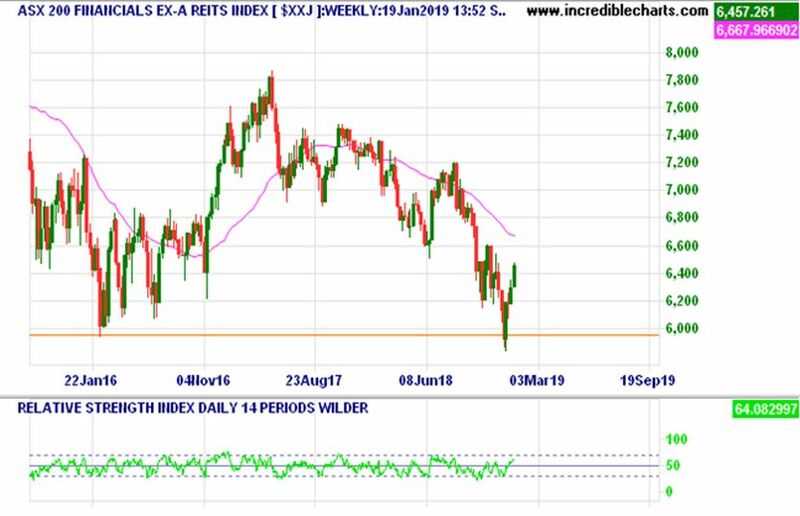 And with the government shut down hopefully coming to an end soon and China looking to do a deal on trade the short term could remain bullish for a little longer. 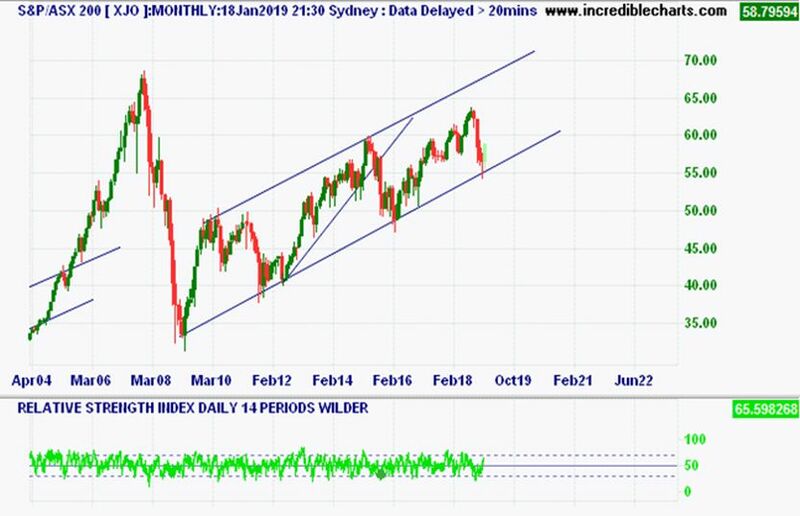 I wouldn’t be getting too excited though as technically our markets and most global equity markets are in a medium term down trend with lower troughs and yet to form higher peaks. Until a higher trough or a higher peak, I wouldn’t be getting to excited. I doubt a higher peak will be achieved considering the size of the recent fall so I would be looking for a higher trough forming. In summary I would be very cautious for the medium to long term but feel free to ride out the short-term optimism. I’m looking forward to an exciting 2019. Enjoy your week!